Another gorgeous mosaic from Merle Bouffard of Merle Art Design. 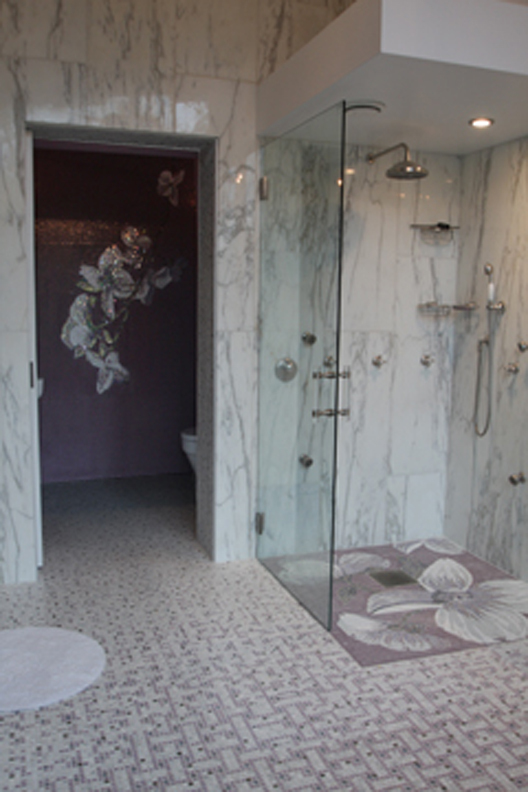 The custom Dogwood Mosaic was created for a bathroom and water closet using iridescent glass tiles, No Days Mosaic Mesh, and grout enhanced with sparkling metallic pigment. 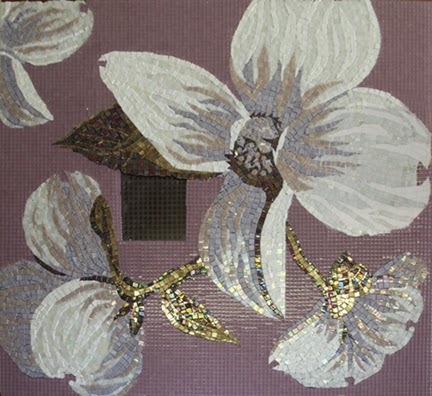 For the complete Story of the Dogwood…Mosaic, visit Merle Art Design.